“You are an undiscovered gem. I only wish I had found you sooner.” Jill A. The South Carolina Bar ethical rules require me to give this disclaimer. Click here to read it. When you or a loved one has been injured due to the negligent act of another, you want and deserve just compensation for your expenses, your lost income, your pain and suffering, and any other legal amount due you. The last thing you need during a time like this is to work directly with the insurance company claims adjuster who will always try to pay you nothing or the least possible amount. Whether the injuries are the result of a car accident, truck accident, or motorcycle accident, or came about as the result of a job related accident, you should call Lindsay Blanks for a free consultation about how to maximize your claim and get justice for your loss. 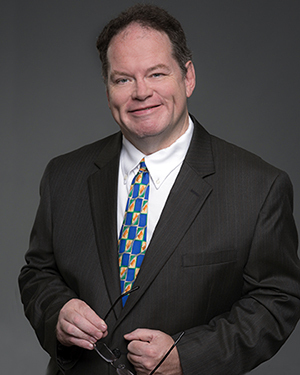 Lindsay Blanks is a Charleston Workers Compensation and Personal Injury Lawyer with more than 28 years of litigation experience. He can help you get the compensation you deserve after a serious accident -- all while treating you with compassion, courtesy and respect. Unlike some of the “warehouse” law firms in Charleston (you see their signs on buses and billboards), your case will be handled by an experienced lawyer—not by the temporary summer associate or secretary. We have won many different types of personal injury cases, including car wrecks, truck accidents, and workers’ compensation cases. If you’ve been seriously injured in a South Carolina accident, call Lindsay now. You can reach us at (843) 863-1800 or fill out a free online consultation form and talk to a personal injury lawyer in Charleston. See the testimonials from our actual clients for our results. Our law firm office is located in Charleston and our personal injury lawyers assist clients across South Carolina, including Georgetown, Kingstree, Florence, Richland County, Orangeburg, Columbia, North Charleston, Mount Pleasant and Summerville. Contact us today to learn how one of our Charleston South Carolina accident lawyers can help you. Attorney Lindsay Blanks offers a free consultation to get your questions about your Charleston Personal injury accident answered. Without legal help from a Charleston personal injury lawyer like Lindsay Blanks, you may not realize the true worth of your motorcycle accident claim. In fact, the Insurance Research Council's research showed that on average injured people who use a personal injury lawyer receive three and a half times more money than those who don't! When you have an accident on the job, your injuries are covered under a specific area of the law called workers’ compensation, or workmans’ comp. Your employer and your employer’s insurance company will likely put pressure on you to settle. But as with any personal injury case, the insurance company is not your friend. The adjuster is paid by his company to LIMIT claims, not seek justice. He is an experienced, professional negotiator. You need to match his negotiation skills with a highly trained and experienced Charleston Workers’ Compensation lawyer like Lindsay Blanks who is working to maximize your claim. Workers Comp Lawyer Tells 6 Things You Should Never Do. Car accidents and other situations involving serious injuries can disrupt your life in many ways. The last thing you need to be worrying about during such a trying time is representing yourself in negotiations with an insurance claims adjuster or attorneys for others involved in the accident. Lindsay Blanks is an experienced Charleston car accident attorney and can help you receive just compensation. Studies show that using an attorney in personal injury cases will result in awards substantially higher than those not using an attorney, even after paying the lawyer. Maximize your peace of mind by letting Lindsay handle all the negotiations for you. Claim your maximum legal compensation by using a skilled negotiator who has dealt with insurance companies for over 20 years. Hopefully, you have never been through a divorce proceeding before. But because this is your first time, you will need a skilled, compassionate lawyer to help you through this traumatic time, and help you with such issues as spousal support, child custody and support, and the division of your property. If you have children, property, or your spouses income is substantially different than yours, do not try to manage the divorce on your own. You need the help of a legal professional like Charleston Divorce Attorney, Lindsay Blanks. Lindsay has helped hundred of people just like you to achieve a just result in their divorce while minimizing the tension between the parties. Attorney Lindsay Blanks offers a free consultation to get your questions about your personal injury accident, workers’ compensation case, or divorce answered. Without legal help from a Charleston personal injury lawyer like Lindsey Blanks, you may not realize the true worth of your claim. In fact, the Insurance Research Council's research showed that on average injured people who use a personal injury lawyer receive three and a half times more money than those who don't! And you can only imagine the losses that result from not using an attorney in divorce cases! !